Back in March, I played an early version of Solstice Chronicles: MIA. You can read my preview of the game here if you’re interested, but basically, the game showed a great deal of potential while remaining unpolished in a couple departments. I gave it a good review because the core gameplay was incredibly solid, and the occasional clunkiness was forgivable on the grounds that the game was still under development. As of yesterday, the final version of Solstice Chronicles: MIA has been made available to the masses, and I’m very happy to say that the team over at Ironward have delivered some major improvements to the game in the launch version. Honestly, when I started playing Solstice Chronicles, it felt like an entirely different game. The gameplay hasn’t changed dramatically, but now, there are cutscenes that introduce your character, as well as some exceptional art and voice acting. The game is smooth, looks great, and most of the issues I had with it have been addressed during the development process. When I reviewed the early access version, I noted that Solstice Chronicles: MIA didn’t bring anything new in the gameplay department. This is still true, and top down shooters are a very well-established genre. However, what makes Solstice Chronicles: MIA stand out from other titles is that it’s a refined take on the genre. I stand by that, and the aiming has improved, the guns feel more individual, and the graphics are far better. The ammo system remains one of my favorite parts of the game, and it’s part of what sets Solstice Chronicles apart from other top-down shooters. Rather than each weapon having their own ammo, they share from a single pool. Every gun uses the same ammunition, regardless of damage or fire rate, and ammo conservation plays a massive role in determining your success in Solstice Chronicles. You’re forced to decide between using the slow-firing high damage weapons and fast-firing low damage weapons. There are also some weapons, like the shotgun, that use more than one bullet per shot. Since you need to conserve ammo, you need to do some on-the-fly planning about how you want to tackle each of your encounters if you want to make it to the end of the level. It’s an interesting mechanic, and adds an unexpected amount of depth and significance to each of your alien encounters. Solstice Chronicles also has excellent boss battles, featuring massive, hulking monstrosities that hurt like hell if they’re able to hit you. 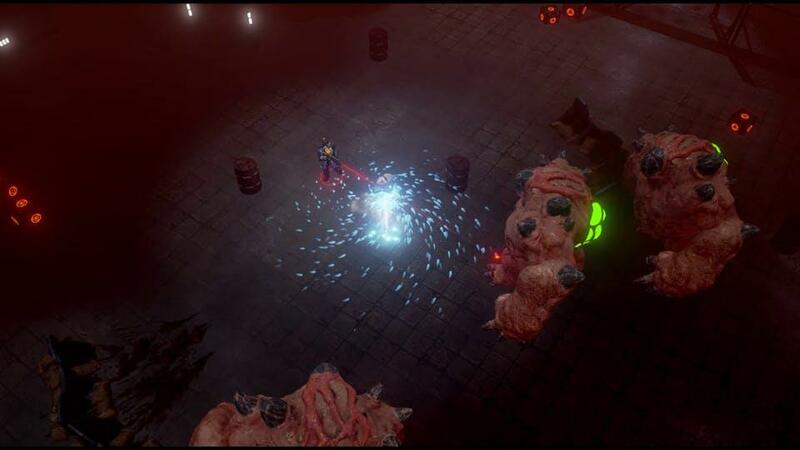 The bosses take a ton of shots to kill, and you’ll often need to make use of the surrounding environment to take them down. The first boss, for example, spawns in an area filled with explosive barrels that can be ignited or thrown at him. They do a lot more damage than normal bullets, so it’s in your best interest to take full advantage of the environment. Later on, I was about to finish a level and suddenly two copies of the first boss spawned in front of me. I had the choice of fighting them both or running past. I fought them, got cornered, had to do a ton of backtracking, and ended up barely escaping with my life. It’s great that the game has this sort of optional (and extremely challenging) content. 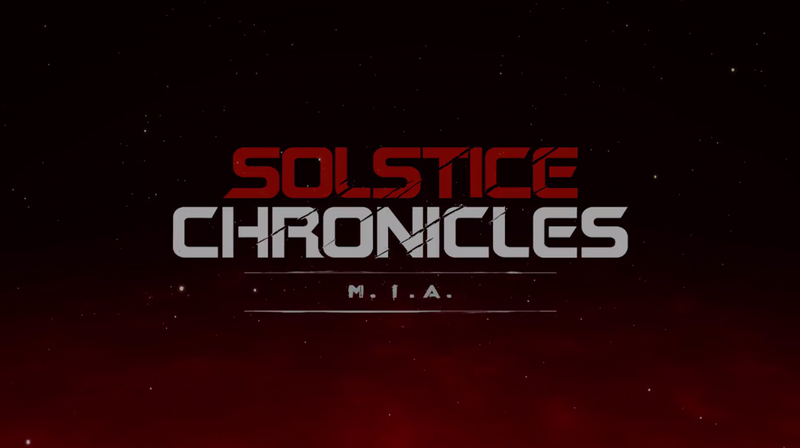 Bosses are a force to be reckoned with in Solstice Chronicles: MIA. 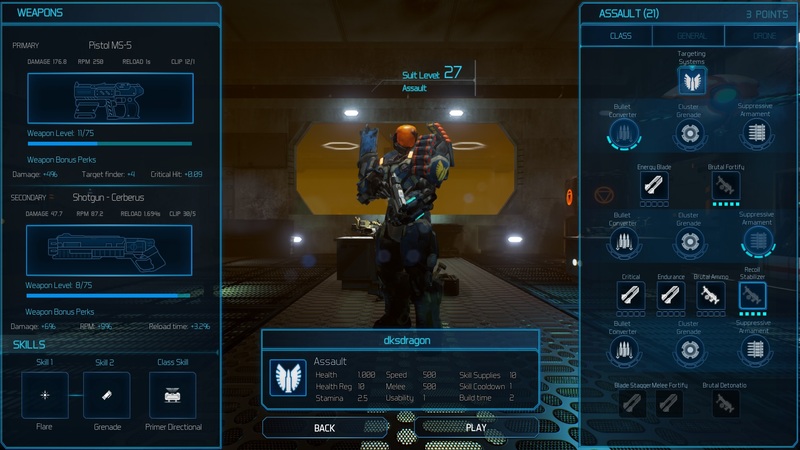 All in all, the gameplay is still the major draw for Solstice Chronicles, and that’s the way it should be for top-down shooters. Based on gameplay alone, Solstice Chronicles: MIA gets a glowing review from me. But, of course, there are other factors that come into play. The drone system is still here, and when I used it back in early access, I wasn’t a huge fan. The different drone skills were either incredibly strong or useless. In the final release of Solstice Chronicles: MIA, the drone skills are fairly balanced, and they’re all useful to a certain extent. There are times when you’ll be forced to use the drones, especially if you’re in danger of running out of ammo. The drone has several different skills that can be used to help you. A supply drop, a barrier that knocks away smaller enemies, a bomb, and a threat decreaser. While the bomb and barrier are simply combat skills, the supply drop and threat decreaser are highly useful tactical skills. The drone system has been massively improved by the addition of a new HUD element at the top of your screen. These indicators tell you what keys you need to press to activate each ability, what their names are, and their respective cooldowns. 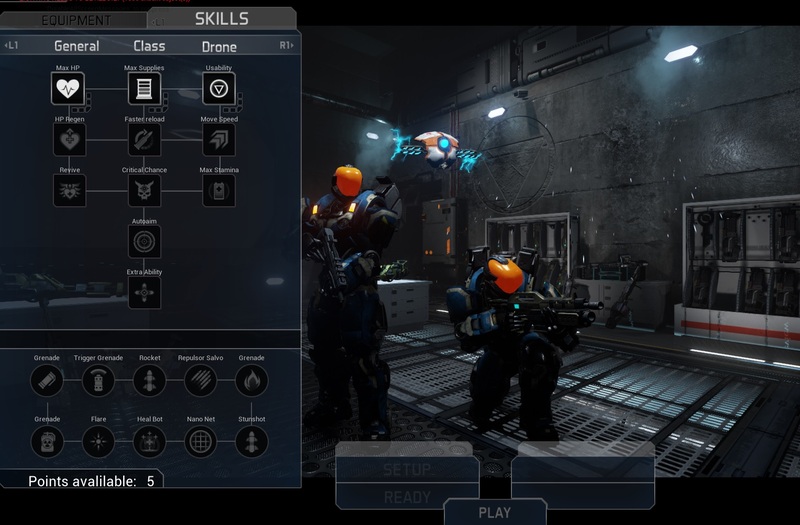 This feature wasn’t present in the early access version, and there were plenty of times where I found myself struggling to remember which skills were on cooldown or how to activate them — the new HUD element is a big improvement, and makes the drone system simple and intuitive. One of my big problems in the early access version was the overwhelmingly poor design of the game’s menus. There wasn’t a clear indication of what different skills did, and there was no way to take anything back. I tried to put a bunch of points into health to see if there was a bonus when you maxed it out. There wasn’t, and I couldn’t remove the points without starting the entire campaign all over again. It didn’t help that the menus in the version I reviewed in March looked ugly. Bland colors, boring descriptions, and an overall feeling of clunkiness. Here’s what they looked like while the game was still under development. Thankfully, the menus look amazing in the final version of Solstice Chronicles. There’s also a simple way to put points in and, much to my delight, take them out if you so choose. Once you’ve moved past an area, you can’t take points out of a skill, but that’s pretty standard. Overall, I’m glad to report that the menus are no longer an issue, and I don’t dread having to navigate them anymore. However, not everything is sunshine and roses. Certain mechanics are poorly explained or, in some cases, not explained at all. issues. For example, the first time I used the drone’s bomb, I didn’t realize I had to activate it again to explode it, and I got stuck in the blast as well. The system for leveling up weapons is confusing, to say the least. There’s an experience bar at the bottom of the screen, and using each weapon will, over time, level them up. Awesome, but what does leveling them up actually do? Well, I’m still not entirely sure, even after sinking a sizable number of hours into Solstice Chronicles: MIA. At this point, I believe leveling up your guns is what gives you points to upgrade your suit in between levels. But I’m still not entirely sure, and that’s a problem. The gun levels certainly don’t increase flat damage, so I’m left scratching my head on this one. Let’s talk about loading screens. Holy crap, the loading screens are long. There aren’t a lot of them, luckily, but when they do appear, there’s a chance that they’ll take upwards of a minute before you’re able to move on. Long loading screens might not directly impact gameplay, but it’s aggravating, and a bit of a sore spot in a game that’s otherwise quite polished. 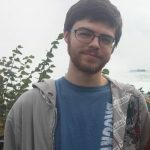 I gave Solstice Chronicles: MIA a good review in March, and I was hoping that the issues with transparency and general ease-of-use would be be fixed during development. Ironward hasn’t let me down. Solstice Chronicles: MIA is a great game, and they’ve made significant improvements in the areas that needed it the most. It easily has some of the best gameplay I’ve ever experienced in a top-down shooter. The boss fights are fantastic, the ammo and drone systems are unique and exciting, the graphics are appealing and stylized, and the addition of cutscenes and voice-acting helps flesh out the backstory. My complaints about it are mostly directed towards the game’s occasionally confusing and poorly explained mechanics and the insufferably long loading times. If you love top-down shooters, Solstice Chronicles: MIA is definitely worth $17.99 USD. Solstice Chronicles: MIA is available for purchase on Steam. Esports Edition was provided with a review copy of Solstice Chronicles: MIA by the developer. 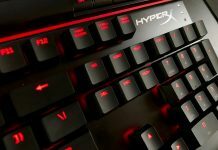 As with all of our game and hardware reviews, our opinions are our own, and this article truthfully and accurately reflects our experiences with the product. Please review our Ethics Policy for more information about our review process.